'An immaculate, high tech, comfortable Mercedes coach was the perfect way to start the two day trip which would take us, a group of year eleven and twelve prospective students, around the University of Cambridge and Oxford. So we all buckled in for a three hour journey which would take us to the peak of UK further education. Now a two hour journey to Oxford awaited us, Oxford certainly had a lot to live up to! 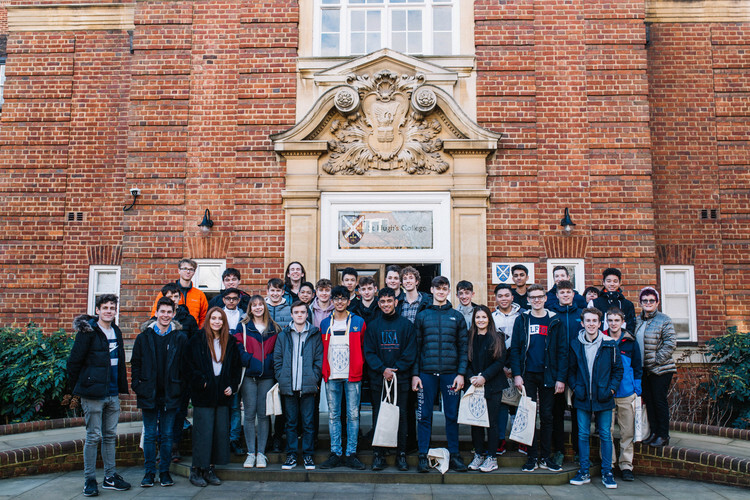 A cosy youth hostel and a late night escorted trip around Oxford town paired with a game of pool served as the perfect end to the day as we prepared to visit St Hugh's college the next morning. Succeeding a surprisingly delicious full English breakfast and another trip around Oxford town (there is much to explore is such a large, bustling and exciting town centre) we took a short trip to St Hugh's college. It was after stepping through the entrance to the college that I realised why applicants have such a hard time deciding between the two competing universities, extensive green space and elegant buildings stretched before me. We were met by an enthusiastic college outreach officer , Elena Sorochins, who gladly answered the numerous questions we had and provided extremely useful tips on applying to Oxford, this was followed by a tour of this extremely glamorous college .We saw their impressive library, accommodation and more, truly astounding, architecture.